Though it has been quiet on the TFN Treaty Website, the Communities within Tsimshian Territory have been busy. Every month, Metlakatla, Kitsumkalum and Kitselas spend three days at the table with the Crown Governments, Canada and British Columbia negotiating toward settling a Final Agreement, updated information can be found through each community treaty office, their web page or social media account. 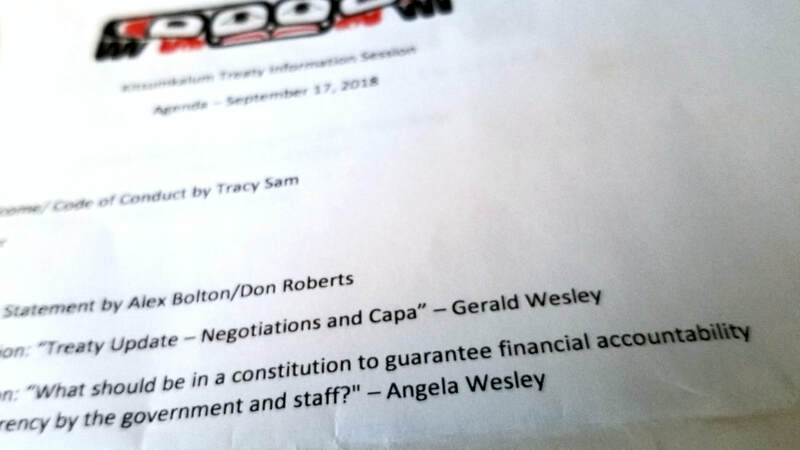 Metlakatla First Nation set the stage for negotiating their final agreements by signing their Agreement in Principle with the Crown Governments in February 2019, bypassing the formal referendum approach and crown government procedures that could stretch this stage up to 2 years. Congratulations to Kitsumkalum First Nation; the community expressed confidence in their leadership by electing the same team of leadership at their council elections as the end of February. There was one change, Aaron Horner joins the team after Susan Spalding didn’t run this term. After serving ten terms, she has recently become a proud grandma and will be focusing on nurturing her growing family for the time being. Kitselas First Nation community will be taking to the poles in June 2019. Kitselas leadership currently includes Chief Councillor Joe Bevan, Councillor and Deputy Chief Judy Gerow, Councillors Cyril Nabess-Bennett, Gerald Seymour, Clarissa Spencer, Roxanne Ridler, and Sue Bevan. Gitga’at First Nation and Kitasoo/Xai’xais First Nation celebrate the release of IMAX documentary “Great Bear Rain Forest: Land of the Spirit Bear” a feature-length documentary which premiered February 12 and is now open to the public in Vancouver, Victoria, Toronto and Sudbury. The communities teamed up with Heilsuk Nation and Pacific Wild with the creation of this picture of one of the most remote places on the planet.  You can access community web sites through a link under TFN Treaty's "Affiliates" link. ​This week, Kitsumkalum (Kalum) Treaty Office hosted a community information session. The theme of the evenings' presentations was "Self Governance". Full Leadership was in attendance to speak to the latest events happening at the negotiation table with Kalum and the Crown governments. Kalum sits with its sister community, Kitselas First Nation where they are at Stage Five of the treaty process, the Final Agreement Stage. Chief Negotiator, Gerald Wesley gave a snapshot highlighting efforts made at the table. It seems that progress is on track and is in line with the strategic plan developed in 2017. Given the work happening in the community, Gerald assures the community members in attendance, that Kalum is ready to take the reigns and grow out from under the Department of Indian Affairs. Headlining the night was Angela Wesley, hailing from post-treaty community Huu-ay-aht First Nation where she helps lead the way with a team of community leaders in determining their future. Angela carries a wealth of information to share from her nation's experience, seven years of self-determination and thriving out from under the Indian Act. Where do you start in determining self-government? Chief Don Roberts said in his opening statement, "When elders talk about their territories, that is the beginning of self-governance." Community engagement sessions are one of the most critical tasks for a treaty office, informing citizens that come out seeking to know more is essential to keep efforts on track at the table. Six average Canadians venture into unknown territories, their backyard, to learn and grow and connect with First Nations people. 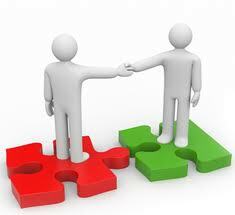 After centuries of living side by side, how much do we know about one another other? 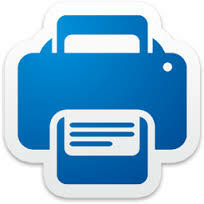 For more information contact Jacqueline Shorty 1 (867) 689-1046. To learn more about treaty negotiations and related issues click here. 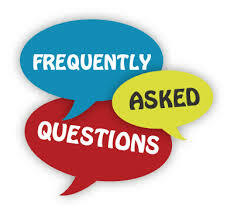 For answers to frequently asked questions click here.